French-speaking Ontarians are preparing to protest against the PC government in nearly 40 communities across the province on Saturday, including a demonstration at Premier Doug Ford's constituency office in Etobicoke. French-speaking Ontarians are preparing to protest against the PC government Saturday in nearly 40 communities across the province, including a demonstration at Premier Doug Ford's constituency office in Etobicoke. The protests come after the Ford government's relationship with Ontario's francophones turned sour with a speed and ferocity that the premier never saw coming, and that many non-francophones might not understand. Whatever your views on the issue, there's no denying that this provincial controversy has national political implications. "It's a question of francophone rights and the whole country's very sensitive to that and that's why we have support all over Canada," said Carol Jolin, president of l'Assemblée de la francophonie de l'Ontario, in an interview Friday with CBC News. Since announcing his move to downgrade the province's independent watchdog on French-language services and to scrap plans for a French-language university in the Greater Toronto Area, Ford has faced a growing backlash from a segment of the population that may not be essential to winning an election in Ontario but sure matters in federal politics. Ford's handling of the issue prompted federal Conservative Leader Andrew Scheer to engage in damage control this week, initiating a Parliament Hill summit ​on francophone rights outside Quebec, with Prime Minister Justin Trudeau and the other party leaders. 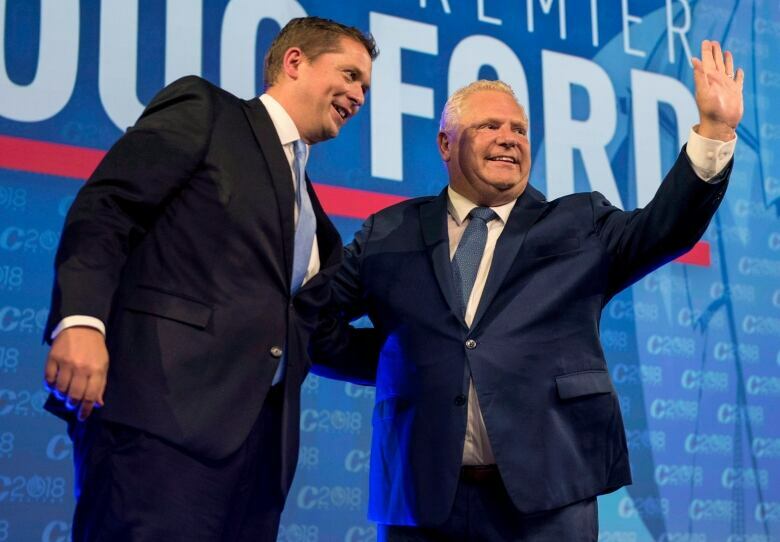 Scheer is fighting off guilt by association with Ford, attempting to prove to francophone voters that — despite the actions of his Ontario political ally — his Conservative Party of Canada cares. Normally, a provincial backbencher in Ontario leaving her party wouldn't even merit a mention in the news in Quebec. But MPP Amanda Simard's departure from the Progressive Conservatives hit the front page of the province's biggest newspaper on Friday. The flattering headline about Simard in le Journal de Montréal: "A Francophone the way we like them." Ford first revealed his lack of connection with Ontario's French-speaking communities when he was running for the party leadership earlier this year. In an interview, the Queen's Park reporter for Radio-Canada Julie-Anne Lamoureux asked Ford whether he thought it's important for someone who wants to become premier of Ontario to speak French. "I think it would be important to be able to communicate with a part of our country that speaks French," responded Ford. "I love Quebec. I love Quebecers. They're passionate." The statement betrayed that Ford was unaware that French is the mother tongue of more than half a million people in Ontario, according to the latest census. "Basically it means he doesn't know our community," said Jolin. "There's still lots of learning to be done ... first to know us, to respect us and to understand our needs, and I would say our rights." "I can assure you our premier is totally in touch with Franco-Ontarians and with the francophone community in this province," Ford's Minister of Francophone Affairs Caroline Mulroney told reporters on Thursday. "He is working hard on their behalf." Ford's moves last week to elevate the status of francophone affairs in his cabinet and appoint a policy adviser appear to have done little to improve his rapport with the community. Francophones felt slighted by his break with throne speech tradition by failing to make the symbolic gesture of including even a single French sentence. As recently as late July, Mulroney was assuring the community that the Ford government was committed to the French-language university project, so its cancellation is seen as a broken promise. Now with Simard's departure from his caucus, Ford has lost the only francophone among the 76 PCs elected in June. Even while trying to heal the rift with the community, Ford is stumbling. He said in question period on Thursday that Franco-Ontarians have played a major role in the culture and history of the province "even though they're three per cent of the population." The true figure is more than four per cent, which may seem a small difference, but the inaccuracy irks francophone leaders like Jolin. 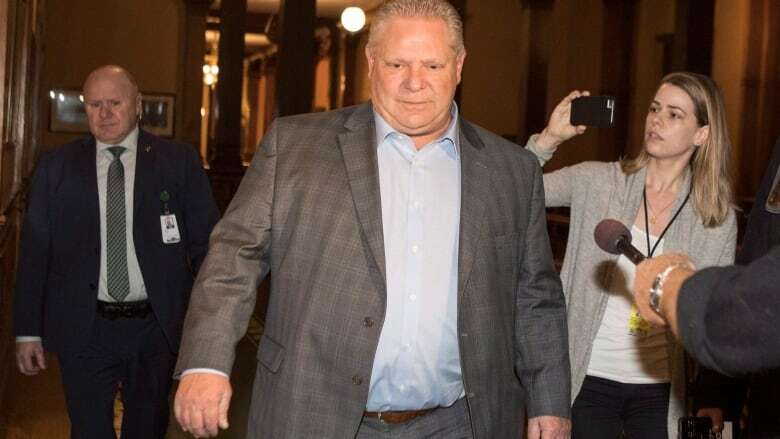 He met Ford face to face on Thursday in an attempt to persuade him to change course, but said he came away extremely disappointed. "Unfortunately, the government stayed on their position; they don't want to listen to anything about what we want to do," Jolin said. The university was first promised by the Wynne government in 2017 and scheduled to open in 2020. Its proponents point to the fact that while total enrolment in Ontario's English-language school boards has been on a long, slow decline over the past 15 years, enrolment in the French-language boards has been increasing. One anglophone who will be attending a protest Saturday is Jamie Sugden. "I've been quite upset with what's going on," said Sugden, He's married to a francophone and their daughter attends a French-language school in Toronto. 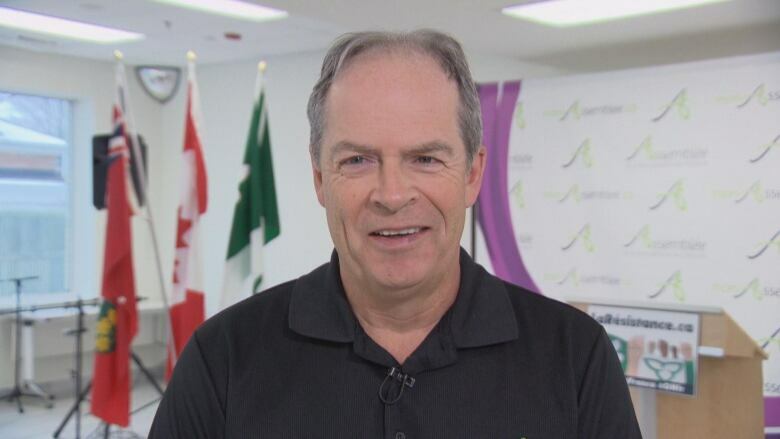 He said the moves by the Ford government need to be viewed against the history of how Franco-Ontarians had to fight for education in their language and against the closure of the French-language Montfort hospital in Ottawa, proposed by the Mike Harris PC government in 1997. "A lot of these actions don't make them feel as if they're identified as real citizens of the province," said Sugden in a phone interview, expressing concern that Ontario is now led by "yet another Conservative government not understanding the context of their actions."